I had the most amazing acid experience while listening to this song! It was at Burning Man, and me, Rene, and Jonatas had all ended up in our RV. We were all on acid (of course). Anyway, we were listening to some of the craziest music from Jonatas’ Brazilian playlist and we were laughing SO HARD. I don’t think I’ve ever laughed so much. They went to sleep, but I was still pretty wired, so I decided to put on some Hans Zimmer. This song “Mountains” from Interstellar came up and started to play… whoa did it ever take me to another place. It was a super moody and stormy day on my drive to Tekapo. I could see there was a big storm a-brewin’ ahead of me but it was still sunny where I was standing. It seemed like the perfect opportunity to stop here near Mount Cook and get a view from the quad of this rather amazing water on Lake Pukaki. Yes, that’s the real color! Another Sunday, another Passport Sunday! I’ve released about 100 videos for Passport Members, and more are on the way! Today’s video shows the how-to edit of this pretty sunset photo in New Zealand. Today’s photo that you see below has had quite a few modifications. Wait till you see the original in this video. This photo was already 90% pretty, but there was 10% of very ugly stuff right in the middle that I had to eventually get rid of. And then, in the end, you see my little mountain stretch trick! I took this photo during an overnight journey with my friend Cliff. We actually slept right here in my pickup truck, which was kinda fun. I had heard about these pools, so we went up here for sunset then decided just to stay until the sunrise. One not-so-awesome thing about this water is it is some kind of water treatment facility. So there was some trash and junk in there. I can’t imagine how it all got there since this is about 20 kilometers from the city of Tekapo itself. It was fun going back in my “back catalog” from the last five years to find photos I had never processed to test out the new Aurora HDR 2018. This was one of them… I was testing the “ghosting” here to see how well it worked… as you might expect, in my three exposures, the lupins were blowing all over the place. Less than 48 Hours to pre-order! Purchase Prior to September 28 to Save 10% and Get Tons of Freebies! A couple of years ago I teamed up with the geniuses at Macphun to design the ultimate tool for HDR photography. I had them put in all of the things I felt were missing from Photomatix, OnOne, and the other tools out there. I’ve been blown away with the results. Current users of Aurora HDR should check this link to see if you qualify for the special pre-order price of just $49. 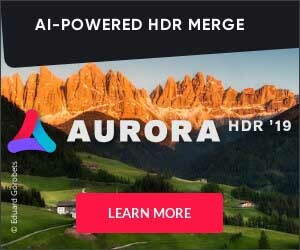 New users may purchase Aurora HDR 2018 for $89. A collection of free bonuses is included with every purchase. This is one of those pretty Spring days in Tekapo at the Church of the Good Shepherd. It’s kind of a hard shot to get nowadays because you have to get there between the busloads of Chinese tourists. It’s great for the economy, but horrible for photos! Sick of seeing this church? It’s easy enough to drive to Christchurch in a day, but why do that when you can stop halfway there and stay here for the evening? That’s what Stu and I did on the beginning of our harrowing trip to Antarctica. The skies aren’t always this amazing by the Church of the Good Shepherd, but I’m glad they were this night. This was shot on a small lavender farm on the edge of Lake Tekapo in New Zealand. I don’t know what’s involved with growing lavender, but it kind of made me want to plant a ton of it at home. I know nothing about gardening, and this is probably obvious to all of you that found my previous statement ridiculous. See this church below? Here’s another video that I shot in this area a few years ago when I was using the Sony NEX system… of course, now I’ve moved to the Sony A7 system! You can read more about these and more on the Reviews page here on the site. Stu and I had a really fun road trip on the way to Christchurch, where we took a flight down to Antarctica. Along the way, we had a fun night here in Tekapo. There’s actually an AMAZING sushi restaurant right by here… we stayed there a LONG time and ate a lot of sushi and had a lot of sake, then stumbled over to take this photo during an amazing sunset! Here’s a cool video I took while inside the glider and taking photos. I used Google Glass to make this, which comes in really handy for these sorts of things! This is a perfect situation for an ultra-wide angle lens! The downside to these lenses is that it really warps and stretches the very edge of the photo. You can see how I compensated for that here by simply cropping that warped part out! Yes, I lost a little of the photo, but you don’t really have to show everything to give the viewer the impression of what is happening beyond the edges of the frame. 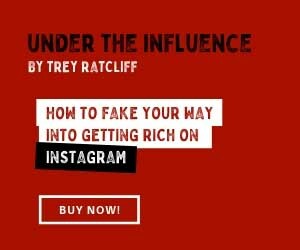 As you know, we have one or two workshops a year here in New Zealand (click on the store up there at the top), but if you are coming on your own and have never been before, here is some advice. New Zealand is big. Way bigger than you think. Many people come for 3 weeks and really spend quite a bit of time driving if they are trying to visit both the north and south island. My advice is just to stick to the south island. That is where I live, and if you are into dramatic landscapes, it honestly doesn’t get any better. While I was working with the Google team, taking photos of the Loon project, I went out one evening to see this. It is very close to Tekapo, where all the Google Loon Balloons were launching from. Sometimes right before dusk there is a nice inversion layer that makes everything extra-dreamy.